Home Haunted Ghost stories The Bodie Curse - California USA . The Bodie Curse - California USA . Today Bodie, California is one of the few ghost towns in America to be preserved in “a state of decay” as a State Historic Park, and a designated National Historic site. Located in the eastern foothills of the Sierra Nevada Mountain Range, Bodie hosts over 200,000 visitors a year, mostly in the summer since the dirt road that leads to Bodie is often covered in deep snow in the winter months. 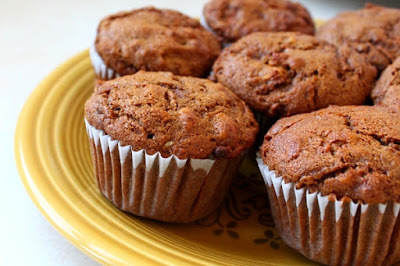 Ten years after gold was discovered at Sutter’s Mill which led to the Gold Rush of 1849; W. S. Bodey and three other prospectors, discovered another rich strike of gold on the other side of the Sierra Nevada mountains. The four men agreed to keep their discovery a secret. Bodey perished in a blizzard in November of 1859 so he never saw the boomtown that was named after him. A sign painter’s error is attributed to the town’s name being spelled Bodie instead of Bodey. With competition from two silver strikes, one being the Comstock Lode under Virginia City, it was several years before people took note of Bodie. By 1868 only two companies had built stamp mills in Bodie and both of them had failed. In 1876, a profitable deposit of gold bearing ore was discovered, overnight Bodie became a Wild West boomtown. 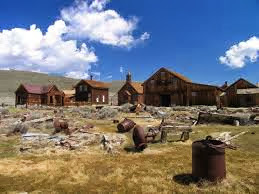 By 1879 Bodie had a population between 5000-7000, and around 2000 buildings and nine stamp mines. These mines produced gold valued at 34 million dollars. Bodie’s fame was short-lived; by 1910 only 698 people remained. The mines for the most part had played out, in 1913 the main mine closed and in 1917 the railroad was abandoned. The last mine officially closed in 1942, due to an order by the War Production Board to shut down all nonessential gold mines in the United States. 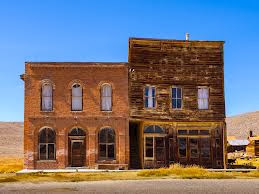 This same year Bodie’s post office closed. As early as 1915 Bodie was labeled a ghost town. Despite this in 1920, 120 people still lived in Bodie. In 1932 a fire ravaged much of the downtown business district. In 1943 one of the town’s few remaining citizens, Martin Gianetttoni, became its caretaker. He protected the town from vandalism. In 1962 Bodie became a State Historic Park—it was named California’s official gold rush town. A total of 170 buildings remain today. The interiors of these buildings remain as they were left, the reason for this being there was no moving companies available so people took only what they could pack into their cars or carry with them. Today, a store’s shelves are still stocked with goods etc. One of the original homes on Green Street in Bodie is the Cain house. J.S. Cain was one of the first settlers in Bodie, he built his home in 1873; he brought his wife and a beautiful Chinese maid to assist her to Bodie. Almost immediately the men of the town started wondering about his relationship with this maid, his wife hearing the rumors insisted he dismiss her. The story goes that after she was let go she hung herself that very night in her room in the Cain house. Since Bodie was declared a state park the Cain house has been used as quarters for the park rangers that work there. Several of them have seen and felt this Chinese maid. She is reported to like children better than adults. Cold spots are felt, doors have been slammed and she is known to wake people out of sleep by sitting on them. Employees who have seen and felt this maid refuse to stay in the house. Park employees and visitors alike have seen lights flash on and off in long-deserted buildings. The sounds of distant music and boisterous conversation have been heard within abandoned Bodie households. And people passing by the old mine shaft have sworn they have heard chains rattling and men grunting within. Another Bodie spirit has been seen at the town’s cemetery. A male visitor spotted a little girl playing and giggling with an unseen entity. This “Angel of Bodie” as she is known-- was the three-year old daughter of Albert and Fanny Myers who died in 1897—she was supposedly killed when she accidently hit her head on a miner’s pick ax. On top of her grave sits a marble craving of an angel child. Skeptics state that the child seen was just playing with this statue. But the witness stated that the child was running around—being chased apparently. According to park rangers at Bodie they receive souvenirs sent in unmarked boxes all the time. Most are accompanied with notes from people stating they hope their luck will change. Skeptics state that this legend is kept alive in order to protect the town from pillagers. Either way this curse does help to preserve Bodie.